Award winning singer and Mavin records first lady, Tiwa Savage got a passionate surprise from her hubby Teebillz as she performed on stage last night at the AFRIMMA Awards 2017 which was held at the House of Blues in Dallas. 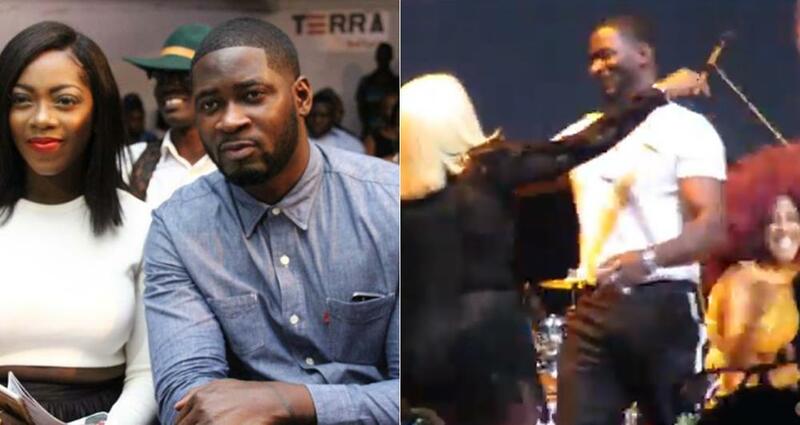 Teebillz surprised his wife and mother of his son, when he went on stage from behind while Tiwa was performing at the AFRIMMA Awards 2017 and tapped her. The look on her face was priceless.